Clip on Earring Approx. 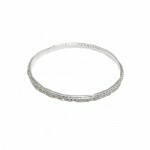 Size: .70" Diameter Crystal / Alloy / Lead & Nickel F..
Approx.Size: 17" L + Ext. 3" L / Deco Pendant Dro.. Shoes Clip Approx.Size: 2.75" L * 1.25" Rhinestone / Metal /&nb..
Approx. Size: 17" L + Ext. 3" L / Deco. Pendant Drop 4".. Shoes Clip Approx.Size: 2.75 L * 1.75" Rhinestone /..
Necklace Approx.Size: 12" L + 2" Ext. / Deco Pend..
Approx.Size: 16" L + 3“ Ext. 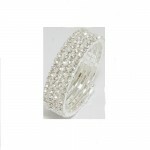 Crystal / Rhinestone / Alloy..
Approx.Size: 17" L + 3" Ext. Crystal / Rhinestone / Alloy /&nbs..
Approx. Size: 17" L + 2" Ext. / 3 Pcs Deco Pendant ..
Approx.Size: 8" L * 1.5" W * 5" H Rose Gold M..
Approx.Size : 8" L * 1.5" W * 5" H ..
6.5 " (L) * 4.5" (H) * 2" (W) inch Main..
Approx. Size : 9.5 " (L) 4 " (H) ..
Approx. Size: 8 " (L) 4 " (H) ..